Mai Thai located along the stretch of eateries in Chip Bee Gardens providing causal Thai Dining. 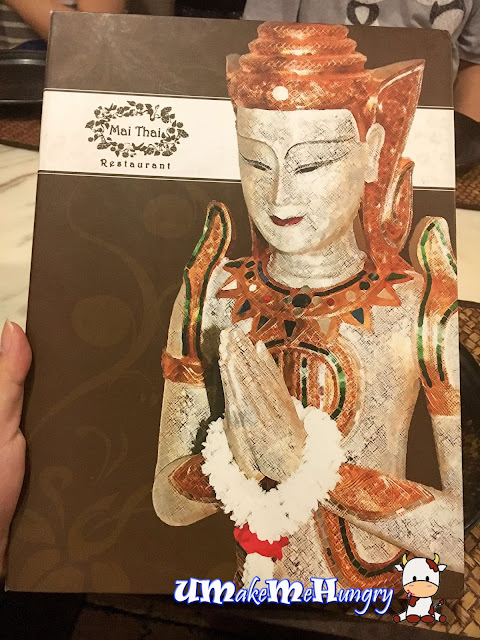 With both indoor and alfresco dining area, you can enjoy their authentic Thai Food. We were there on a Weekend for a farewell dinner organised by one of our colleagues. Place was peaceful and furnished in traditional taste furniture. 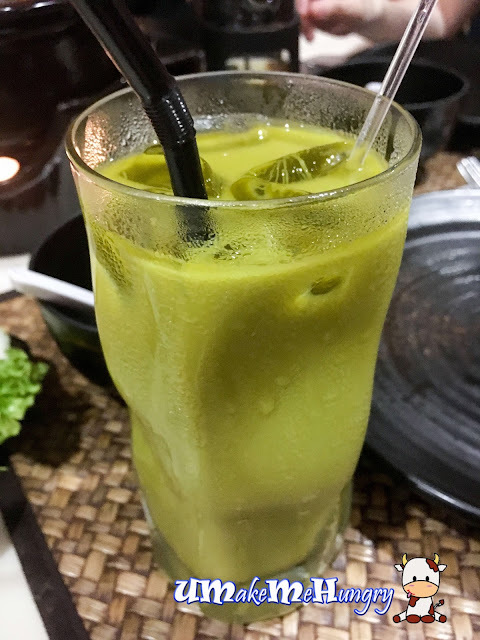 We all love Cha Yen (Thai Milk Tea) and they also have this version in Green Tea. The color of the drink reminds me of Avocado Milk. Besides that, they also offer Lemon Grass Tea that consist of Mint leaves. 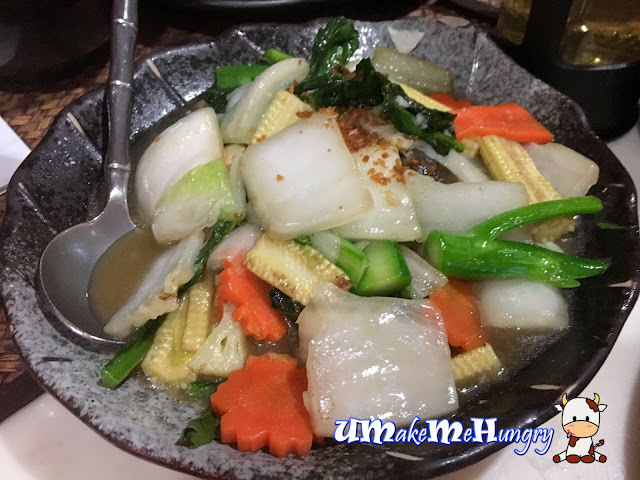 It can be order in Hot or Cold Version. Something new on the menu with vegetarian dishes. 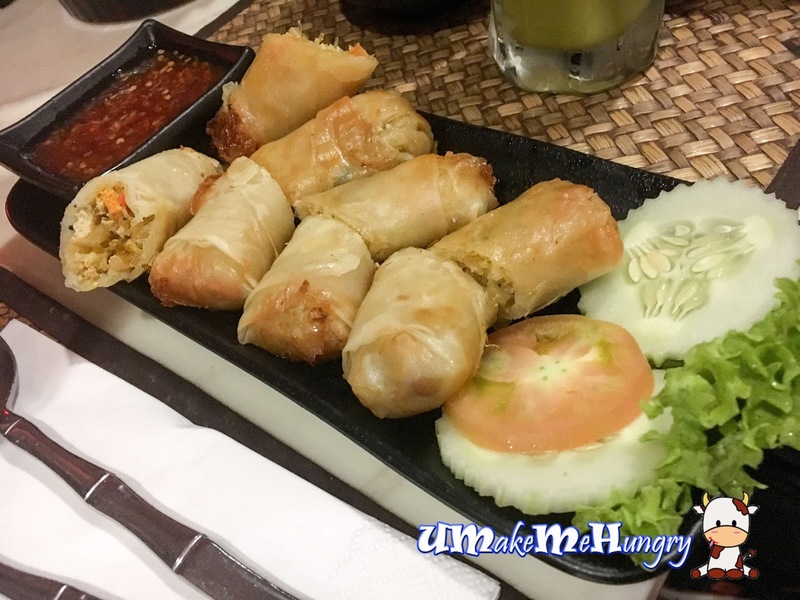 These spring rolls are deep fried and consist of ingredients like vermicelli, bean curd, cabbage, mushroom and black fungus. 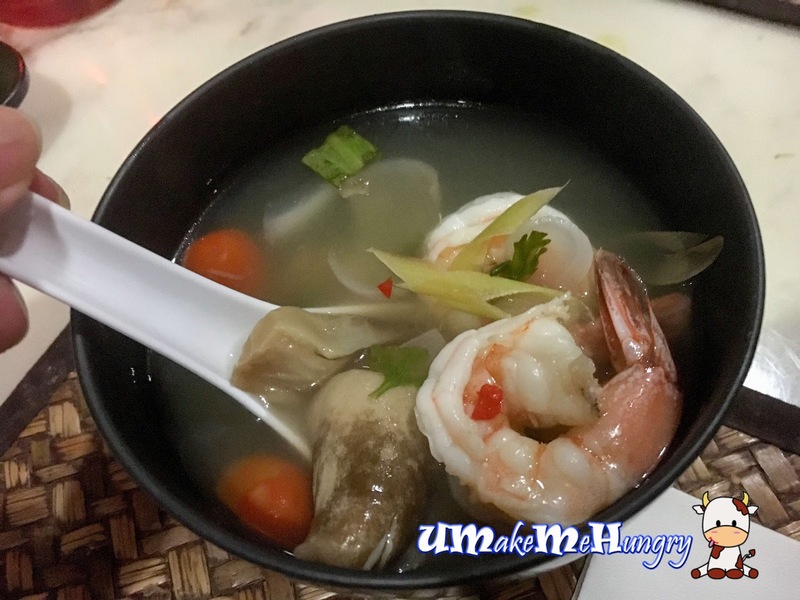 Starting off our Thai Feast with Tom Yam Goong, the fiery and soury kick in the soup had "opened up" our appetite in preparation of welcoming more dishes. This classic Thai Spicy Clear soup came with mushrooms and prawns over a fire pot. 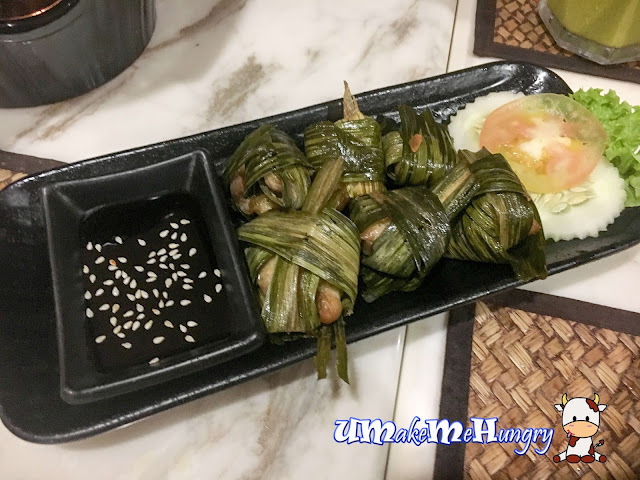 Wrapped in glossy pandan leaves, Gai Ho Bai Tuey was served with sweet black sauce and sesame. Coming in a plate of 6, portion was miserable as it came in miniature sizes. 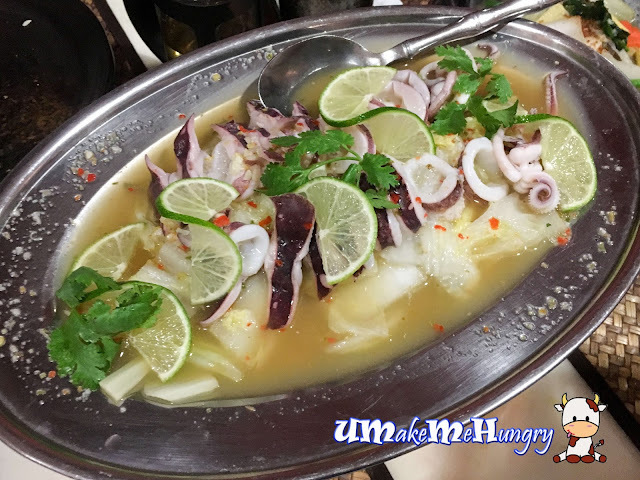 Pla Merk Yang was something new to me as I have always had steamed fish in sour and spicy sauce yet this time round we had it for cuttlefish. Texture of cuttlefish (sotong) was alright, the only part that most of us dont prefer will be the gel / jelly stuffing between the rings. Homely taste from the Pad Pak Ruom, consisting of stirred fried baby kai lan, cabbages, baby corns, carrots and mushroom in oyster sauce & garlic. Moo Ka Pao is one of my all time favourite among the thai dishes and best to go with white rice. 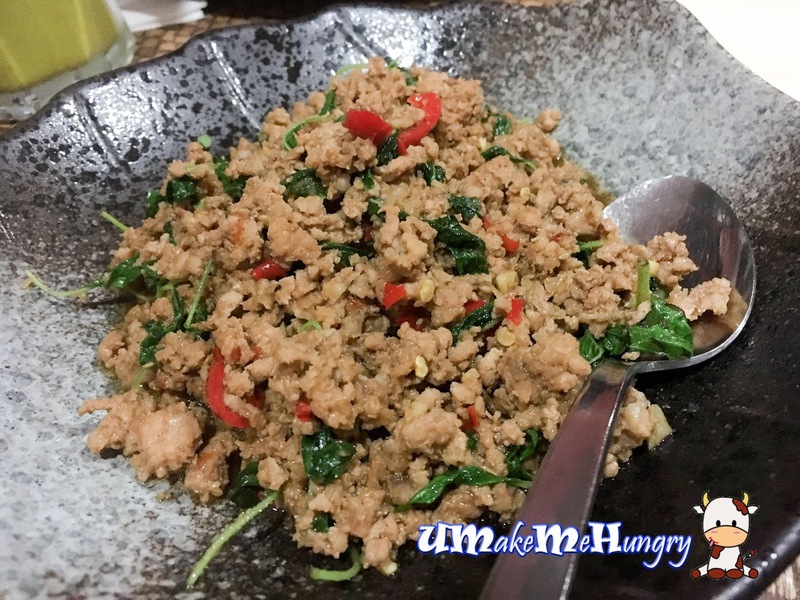 Minced pork is stirred fried with Thai chilli paste, onions and basil leaves. 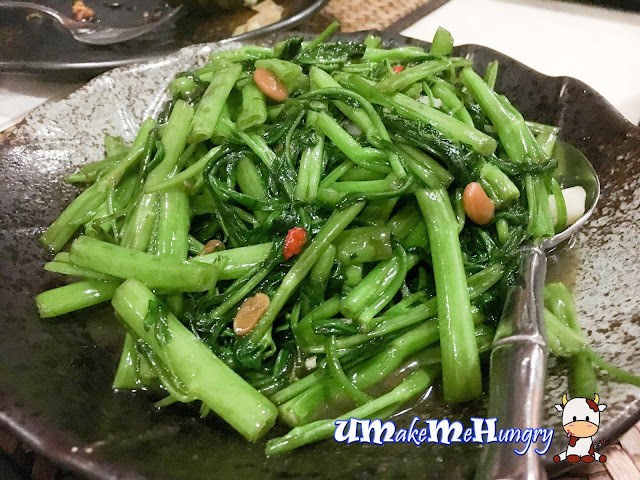 Pad Pak Bung Fai Deang (Morning Glory) is crunchy and stirred fried in garlic as well as chilli. Gaeng Keaw Wan was served last when we had finished our rice. Chicken meat with thai egg plant was the main ingredient of the green curry. It had a strong frozen taste and quite creamy just to have it alone, it ended up that we did not finish the entire bowl of it. 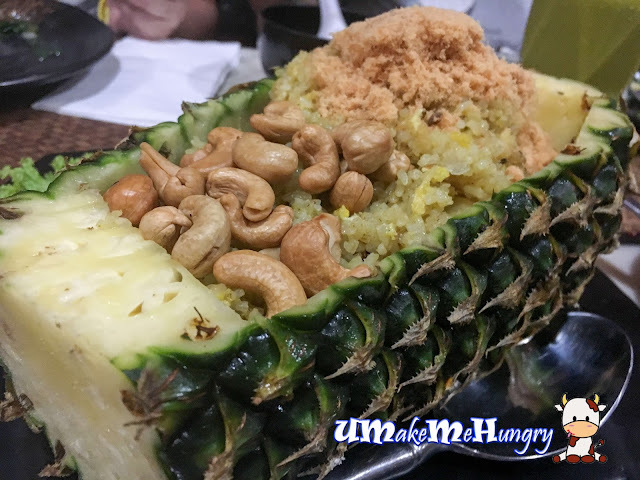 Wonderfully presented Khao Pad Saparod in the pineapple mixed with chicken floss, cashew nuts, pineapple pieces, raisins and chicken meat. Rice was consistently coated in yellow, however the taste was ordinary and nothing much to comment about. 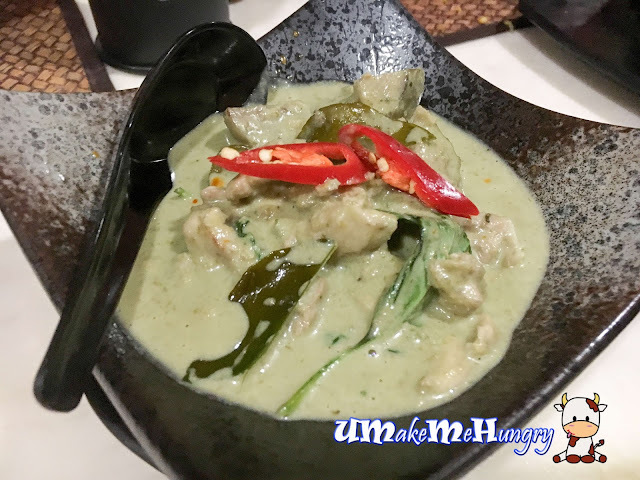 Service was moderate however one thing they can improve on is perhaps the sequence of the dishes coming out as we strongly feel that the Green Curry Chicken especially should come before we finishes the meal. Portion on the other hand was small and taste as an overall was mediocre.